Welcome! 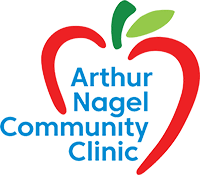 Please read the information below about becoming a patient at Arthur Nagel Community Clinic. If you have additional questions or would like to make an appointment, please call our main number at 830-796-3448 between 8 am and 4 pm, Tuesday through Thursday, and speak to one of our patient service representatives. Si hablamos Español. Please download the Clinic’s Patient Application below and read over it carefully. Make your appointment by calling 830-796-3448 and bring your application with you plus the documents required to show proof of age, proof of residency within Bandera County, and proof of household income. All required documents are listed on the Application.